Edit 2011/11/15: The firmware has been updated, please check release notes for details. Thanks to the amazing work of fun_ (aka naobsd) from www.androtab.info, the CyanogenMod7 (CM7) port for Rockchip RK2818 equipped devices, such as the Archos 7 HTv2 has reached a milestone. The system starts to be usable with the accelerated video now working, we felt the firmware is ready for a first public release. This release is still a proof of concept to show the development progress and for users to test Android 2.3 on their Archos 7 HTv2. If you do not want to risk serious troubles restoring your usual firmware after running this early firmware, we recommend that you wait a few days until a more finalized version is released. 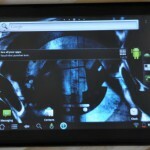 This custom firmware brings Android 2.3.7 (Gingerbread) to your Archos 7 HT v2 tablet. built with latest CM source. now 7.2.0-RC0. add initial support for hardware codecs. I’m not sure all supported codecs are enabled. please test & report about file URI, format detail, status, etc. We modified the firmware so USB Host mode is disabled on boot. 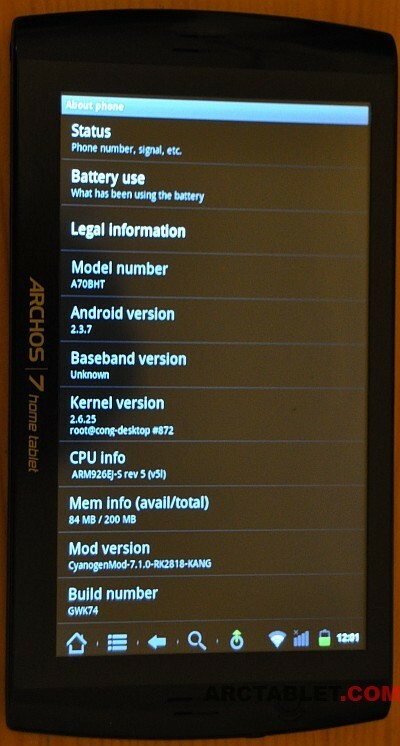 Please note that this firmware is valid only for Archos 7 HT v2 and will not work on Archos 7 HT v1. 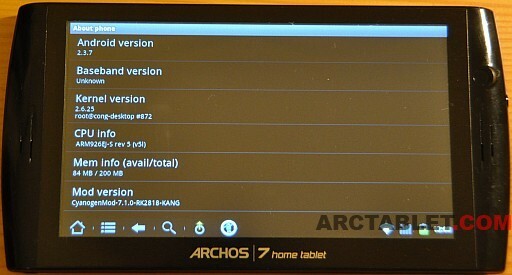 If you are not sure on which version you have, please check our Archos 7 HT v1/v2 page. 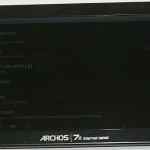 If you have an Archos 7 HT v1 please visit our dedicated firmware page. This custom firmware has no firmware update facility. You won’t be able to flash another firmware by copying an update.img file to the root of the device. You will have to use Rockchip Flashing tool to flash a new firmware, please make sure that you are able to use this flashing tool before flashing this custom firmware. 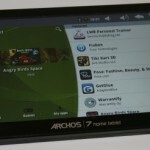 This firmware is specific to the Archos 7 HTv2 and should not be installed on other devices. WE WILL NOT BE HELD RESPONSIBLE FOR ANY DAMAGE TO YOUR DEVICE. THIS FIRMWARE UPDATE IS USED AT YOUR OWN RISK. WE RECOMMEND TO FLASH THIS FIRMWARE ONLY IF YOU ARE ABLE TO RESCUE A BRICKED DEVICE USING ROCKCHIP FLASHING TOOLS. The first boot after flashing may take a few minutes, please be patient. After the custom firmware has been installed, please follow ArcTools tutorial to install Android Market. After installation, the Market should show most of the applications and the Market fix procedure should not be needed. Please use our dedicated forum topic to comment about this firmware. We will post soon a video of the firmware installation and a quick review. Thanks again fun_ for your amazing work. me too having same prblm…….. If you have flashed the CM7 firmware, you’ll probably need to flash the recommended firmware above with Rockchip Flashing tool as CM7 did break the normal way of flashing (by just copying the update.img file on the tablet). Thanks for the quick response! I’ll try it. I have tried several times now to install gmail through reaching Google Play on the browser (since i don’t have the Google Apps installed). it tells me “This app will be downloaded to your device shortly”, but nothing happens on my Archos… Any other advice how to achieve installing Gmail on this CM7 firmware? Work on firmwares for Archos 7HTv2 and Arnova G1 firmwares are a bit on hold these days, with focus on newer models running on Rockchip RK2918 CPU (Arnova G2 and Arnova G3). Hopefully some improvements can still be made on older firmwares, as time will permit. set itself this firmware first all seemed to work fine! but after I put the SD card and started watching movies, I noticed that the video slows down! decided to change back to its former firmware, but it did not work! using Rockchip Flashing tool did not work too well as on my windows 7 x86 is not possible to install the driver for this device (the driver is not designed to run on this platform) writes refusal. I pray help me the way I was told that there are some so-called alternative driver to work on windows 7! If you know anything please help! A good job. I’d tested it on my old 7HTV2 and I prefer this firmware than others (Froyo or improvement Eclair). The only thing I missed is the configuration of my USB physical keyboard. How to configure my keyboard to definitively adopt cyanogen firmware ? is it possible to install flashplayer with this rom? and How? Thanks for this great work anyway. There is currently no stable support for Flash on the Archos 7HTv2 and other Arnova based on Rockchip 2818. When I connect my Archos 7 V2 via usb after the udpate, my computer doesnt register the device on filemanager. running windows 7. Any suggestions? How to connect the tablet to PC via USB in order to move files? I can’t do it with this Rom – Please help me accordingly. 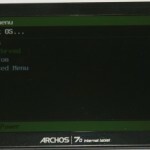 Very Nice, But I can’t install the market via ArcTools (Error-20 Can’t copy File) and also I can’t connect the Archos HT V2 device to the computer via the USB , any Suggestion to fix the issues? hi on video, we can see that the tablet is very reactive. have you “speed up” the video ? The rest of the video plays at normal speed. Actually, the tablet is not that reactive, as there are many delays when touching the screen. This can probably be improved a little by tweaking the CM7 settings. does that works on zipy fun??? Acorp EM501R which runs on a Rockchip CPU. First need to confirm it really uses a RK2818 CPU and not an older one. 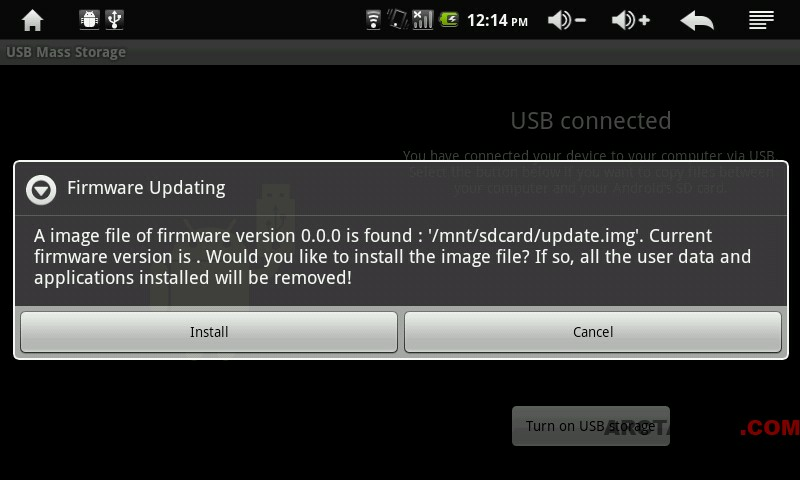 Then get the device firmware to extract the boot, kernel … to build a full firmware update with CM7. very nice. is the cyanogen mod for the arnova 7g2 getting anywhere? To my knowledge there is currently no CM7 port for Arnova G2 models. Still, the G2 models running Android 2.3 Gingerbread, having CM7 is not a priority. Regarding the Android Market on the Arnova 7G2, it’s still in the works, will post an announce when ready.